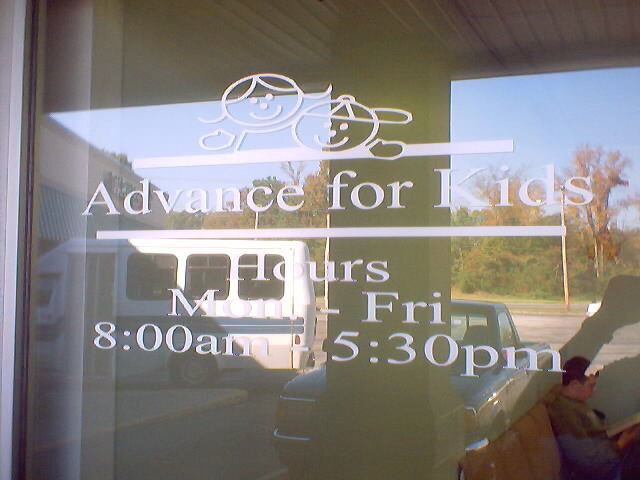 We provide custom door and window lettering. 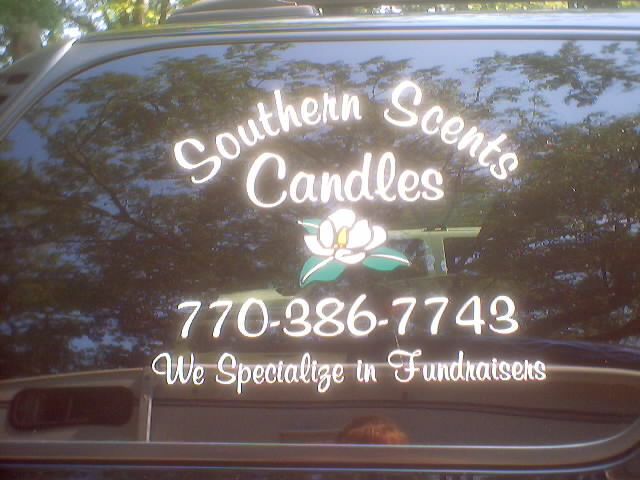 The door or window of your business or vehicle is a great place to advertise. The door or window is usually visible all of the time. 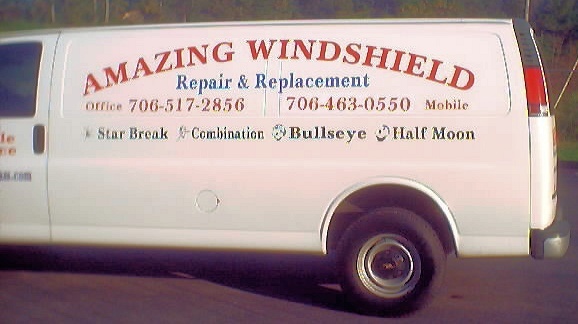 So, what a great way to advertise your goods or services! 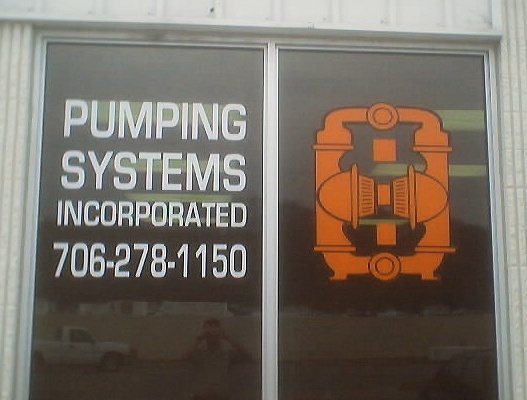 Our company can produce a unique, eye catching image for your business and place this advertisement on the glass door or window of your store front or on the doors or windows of your vehicle or the box panels of your company truck or van . Please see some of the examples below. 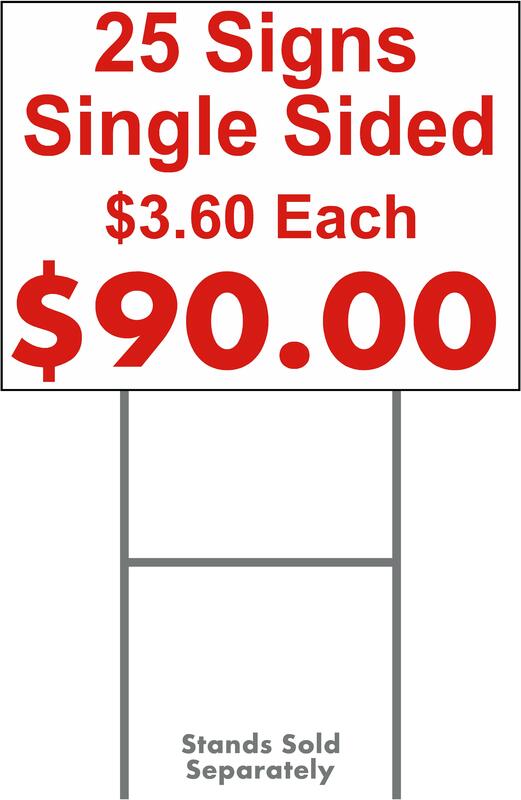 At Discount Signs, located in Northwest GA, we have a innovated approach to providing this service. 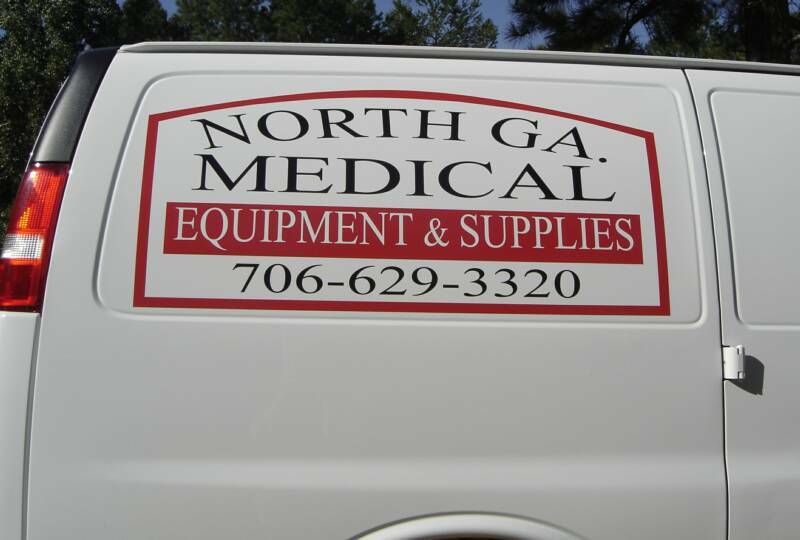 We have the unique ability to bring a mobile sign shop to your location. 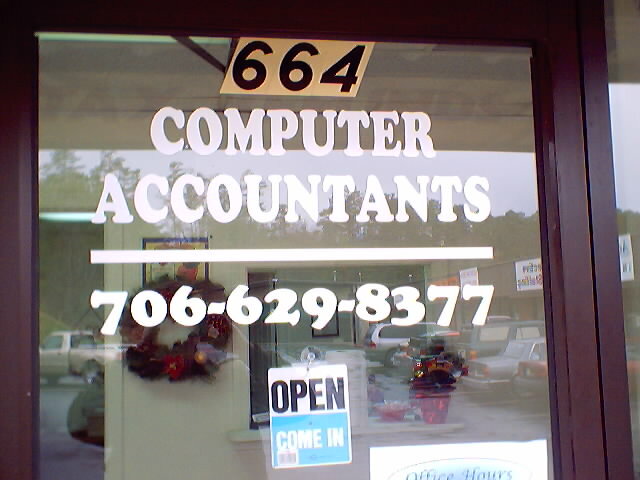 We can design your custom graphics on our laptop, sitting at your desk. 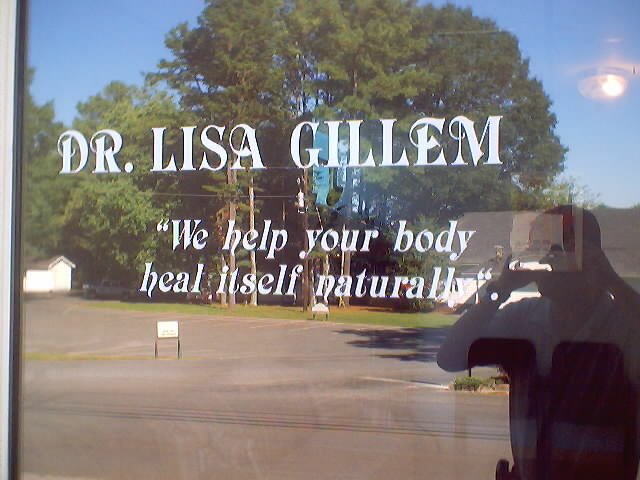 You, the customer, can tell us "Let's make this lettering a little bigger and make that tree a little smaller and can we put the phone number in red?" 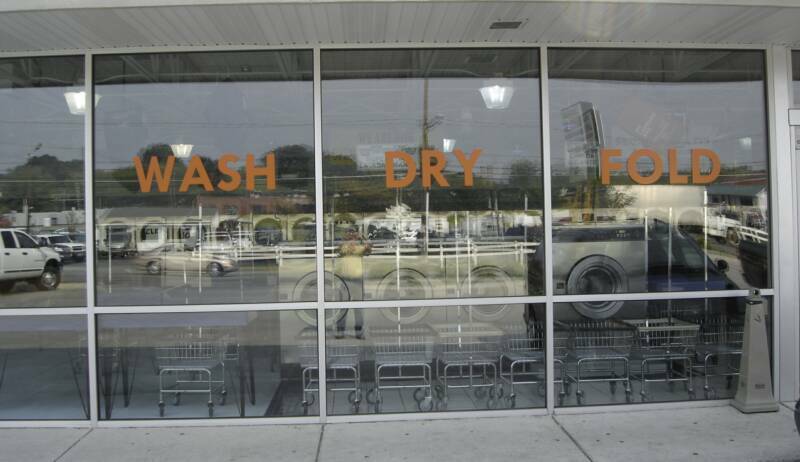 without the hassle of emailing back and forth or visiting our shop. 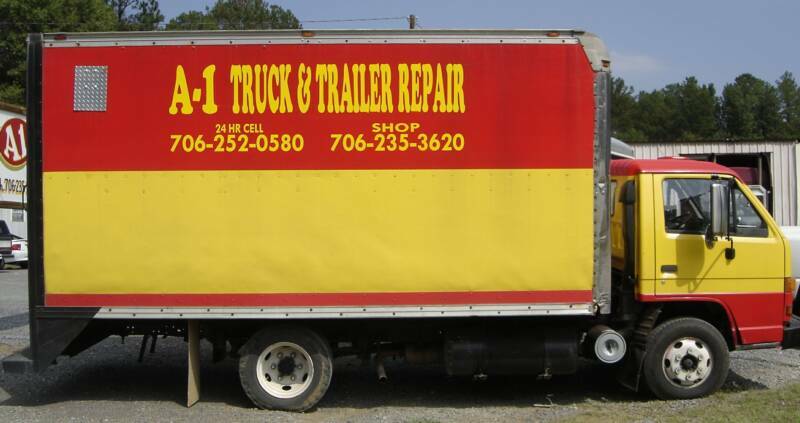 Once we design your graphics to your specifications, we can produce your graphics right on site at your location with our mobile sign shop (shown below). 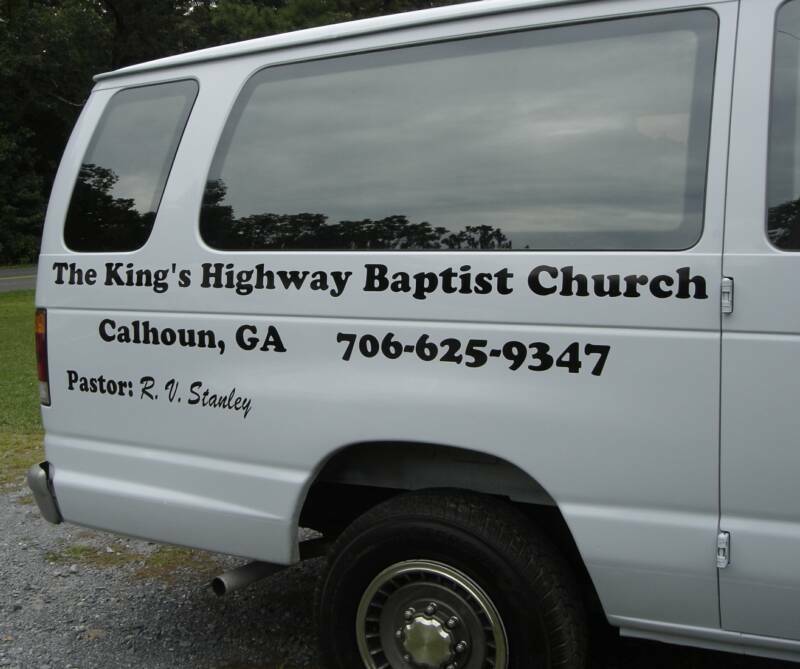 Our "SIGNS ON THE GO" mobile sign shop is always equipped with whatever materials needed to produce your sign or custom door and/or window lettering and graphics immediately. 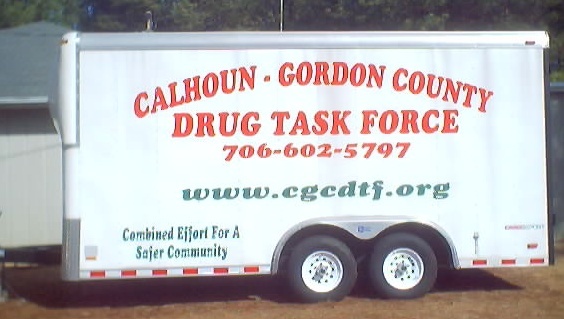 We can then install your lettering or graphics within minutes. 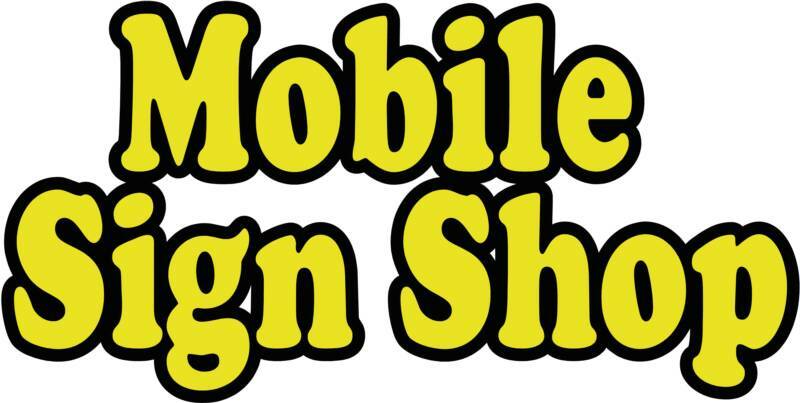 So, if you are a busy trucking company or have a large or small fleet of vehicles or if you have one vehicle with a busy schedule and is difficult to drive your trucks and leave them at a sign shop for days or weeks, then we invite you to give our mobile sign shop service a try. 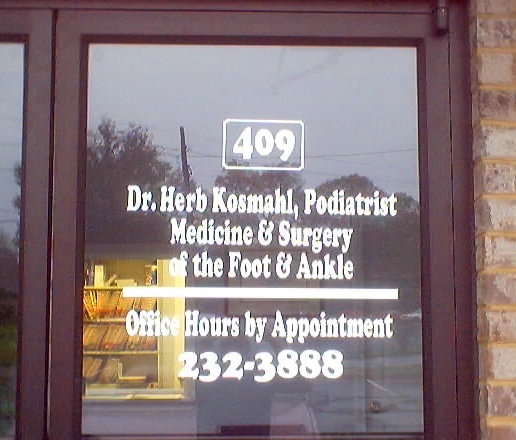 We can come to your business and put your company name and/or logo on your door or window or both without having to leave your location. 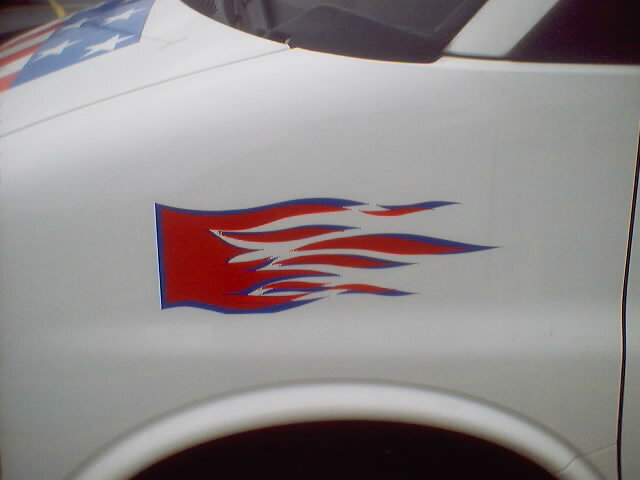 There will be no need for us to come out to measure, return to our shop to produce your graphics and then return to your location at some time in the future to install the graphics. 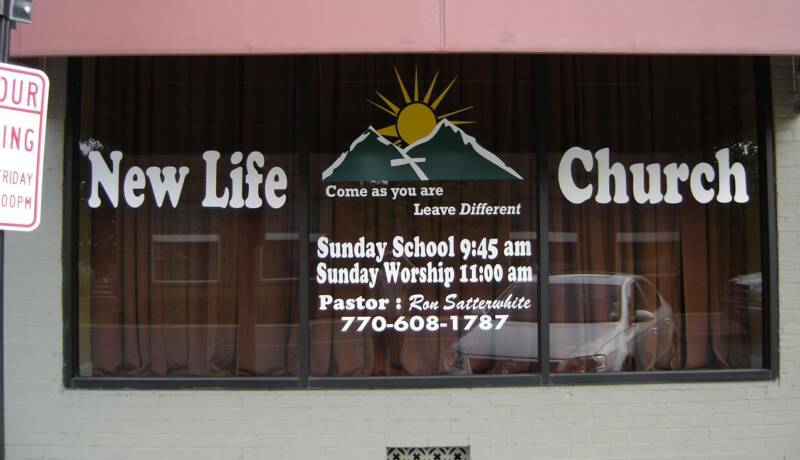 We can design, produce and install custom door and window graphics, usually in less than one hour, without you or us ever leaving your location. 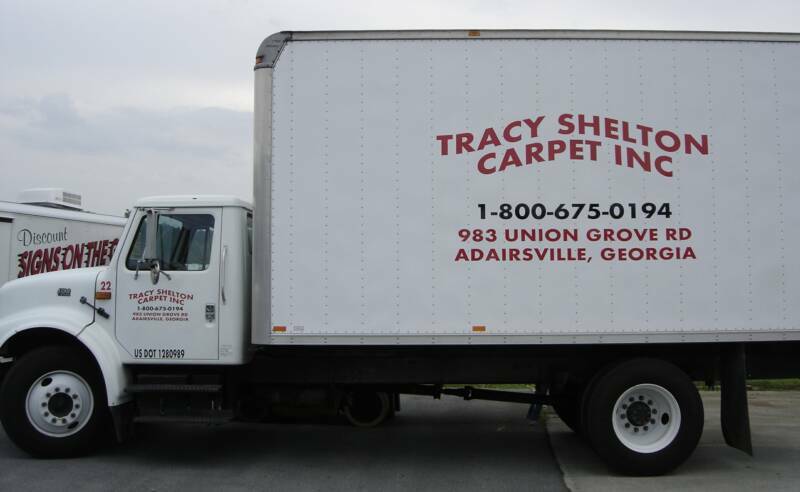 We use only the finest quality vinyl lettering or digital graphics and put our years of experience to work for you. 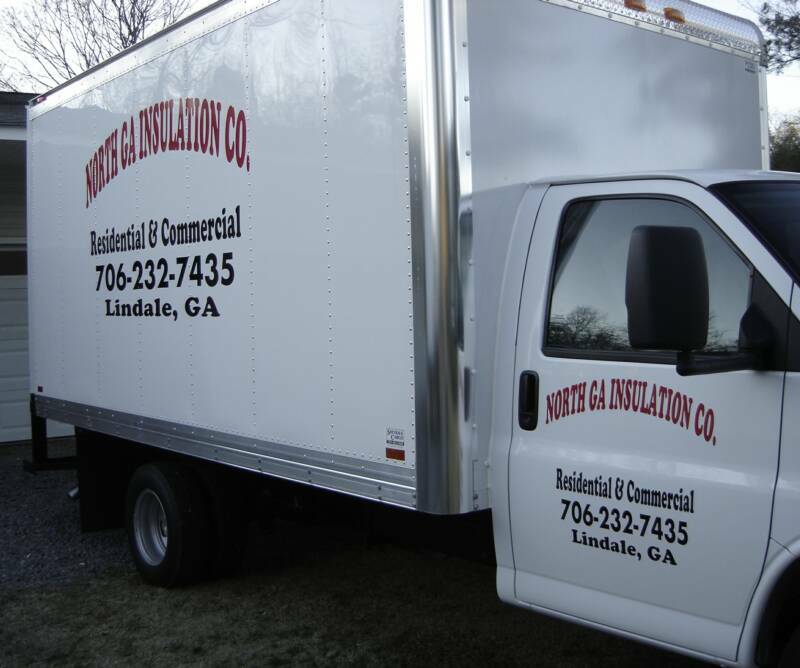 If you are not located within our mobile sign shop service area, then we will gladly email you a proof, produce your graphics, and mail them right to your door the same day, with detailed, easy installation instructions. Now that you have looked at our samples above, please let us know how you want your lettering to read by entering your custom text in the space provided below. 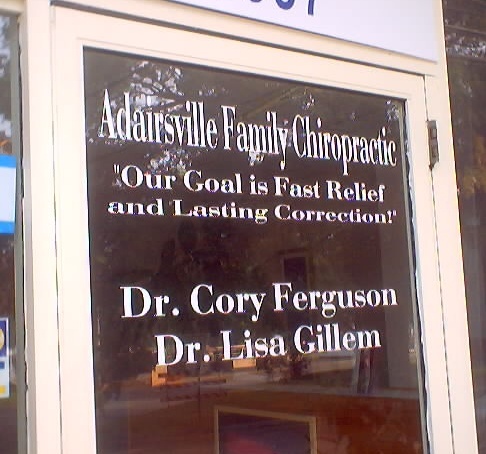 Clicking on the submit button will e-mail us the text that you want printed on your sign. 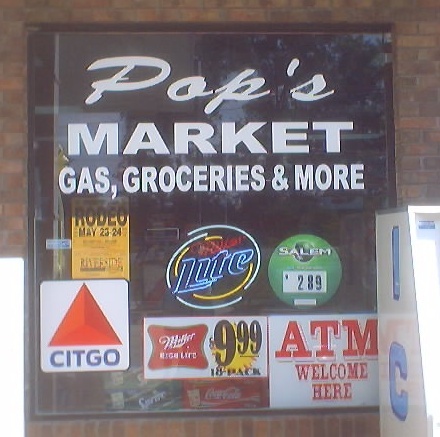 Now that you have notified us of how you want your door or window lettering to read, please call us toll free at 1-866-219-1550 to pay for your sign. We accept Mastercard, Visa, Discover and American Express. If you are like us, and most people, you do not like to enter your credit card number on the Internet. 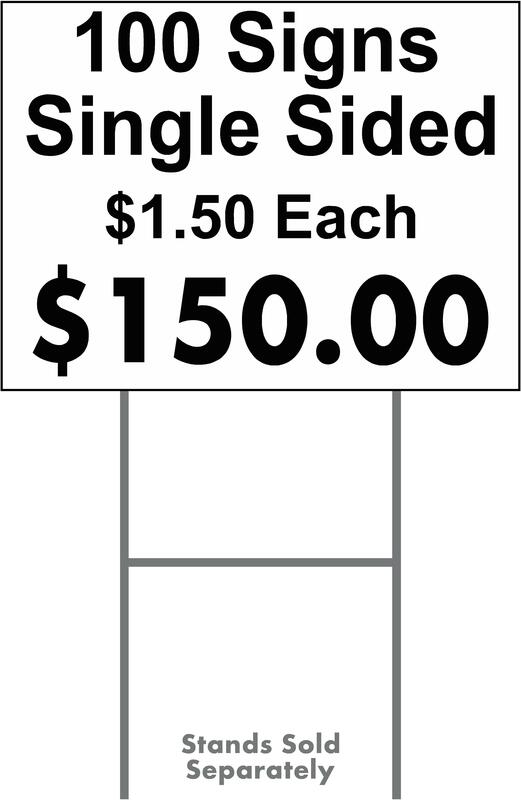 We have provided you a way to call us toll free to order your sign so you do not have to enter personal information over the Internet. When you call, we will verify the text that we received by e-mail and discuss any artwork that you may desire. 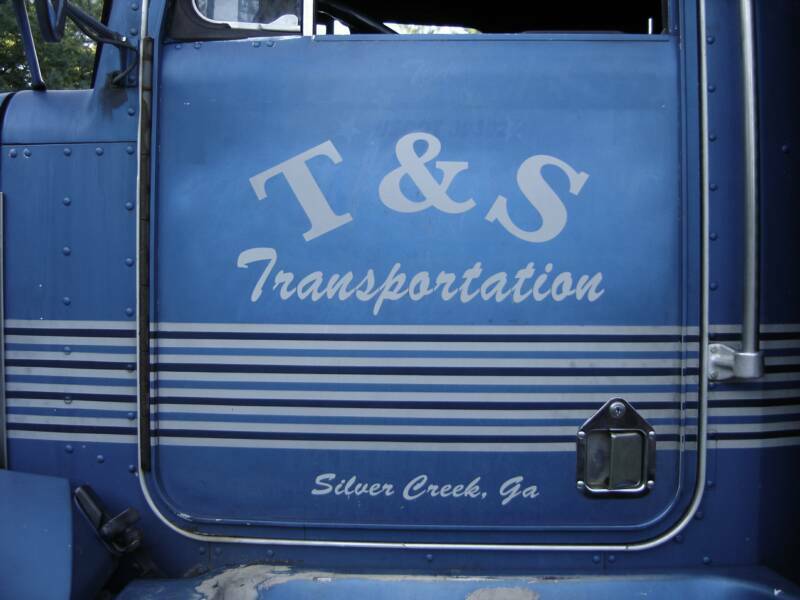 We will produce your lettering the same day that you place your order and ship it out as soon as possible. Thank you for your order. 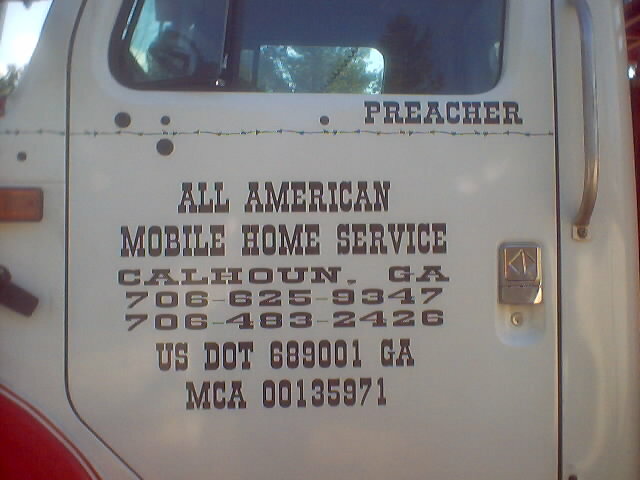 We also offer custom routed signs, sandblasted signs, custom auto tags, custom street signs, corrugated plastic yard signs, custom engraved stones, magnetic signs, banners, aluminum signs, custom beach house signs, custom cabin & lake house signs, decals, labels, and stickers. 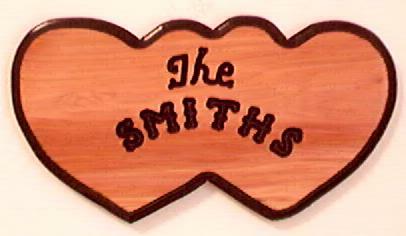 Click the buttons or the pictures below to see our new designs. 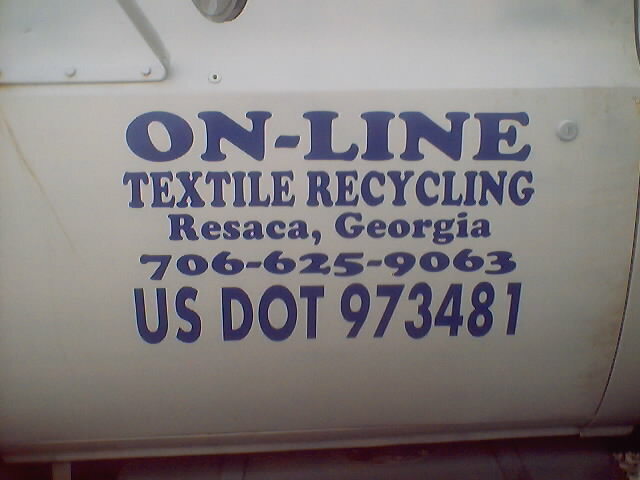 Click the above "Submit" button to transmit your lettering information.